Last year, the Dodgers had some easy Rule 5 protection calls to make. Jharel Cotton and Ross Stripling were protected and both served a purpose for the 2016 Dodgers. This year, it isn’t as clear-cut. First, a primer on how it is determined who needs to be protected from the Rule 5 Draft. “Players who were signed when they were 19 or older and have played in professional baseball for four years are eligible, as are players who were signed at 18 and have played for five years. This applies to players drafted out of college in 2013 and players drafted out of high school in 2012. For example, Jose De Leon would have fallen into the former and Corey Seager into the latter had they not been promoted to the majors in 2016 and ’15, respectively. Oh, and Seager is well on his way to strong second-place finish in the National League MVP race (what a great draft pick). If a team drafts any of these players in the Major League phase of the draft, the drafting team pays the former team $50,000 (chump change in baseball). That player will have to remain on the 25-man roster all season. If for any reason the team doesn’t want to do that, it can offer the player back to the original team for $25,000. They can also trade/sell the players to other teams, but they still must remain on the 25-man roster (which includes the disabled list). It’s a $25,000-$50,000 gamble on finding some cheap, productive talent. Normally, teams that aren’t expected to contend make these moves. Last year, the Padres drafted Luis Perdomo, and while he had his struggles, he also showed glimpses of being a really good pitcher. But back to the Dodgers. That’s not a typo when it comes to the Dodgers’ 2012 high school class. Scavuzzo is the only high school draftee from the ’12 class (14 total) who is still with the organization but is not yet on the 40-man roster. He has shown glimpses of being an MLB-level contributor, but he has also been inconsistent and hasn’t fared too well outside of hitter-friendly leagues. He’s a pass and not in any danger of being selected. De Jong was not drafted by the Dodgers, but he was a prep draftee in 2012. He has been nothing but good since the Dodgers acquired him from the Blue Jays for international slot money. While his stuff isn’t great, he posted some strong numbers as a 22-year-old in the Texas League. He will likely be protected. The college class from 2013 is a little less clear. Anderson, the Dodgers’ 1st-round pick, had a great debut with Great Lakes and had some good signs the next year with Rancho Cucamonga, but the last two seasons have been nothing short of a nightmare for him. Anderson’s command has never fully come around and his stuff has backed up. He made just eight starts in 2016 and he’d be lucky to get to the majors as a middle reliever. He won’t be protected. Ahmed, Hooper, Rogers and Trinkwon are basically organizational depth at this point. They won’t be protected or selected. Underwood didn’t pitch in 2016, presumably due to an injury, so he won’t be protected or selected, either. That leaves Farmer and Rhame. Both have legitimate cases to be added. Farmer, 26, is the best catching prospect in the system who is closest to to the majors. A converted shortstop, Farmer has taken to catching rather well. His defense and game-calling are ahead of his bat, which doesn’t have a lot of pop in it. His ceiling is, essentially, a decent backup catcher. With the Dodgers trading Carlos Ruiz, Farmer might very well be the third catcher on the 40-man roster. Of course, the Dodgers could acquire another catcher (young or veteran) or leave a 40-man spot open in case they need to add a third catcher like Jack Murphy or Shawn Zarraga. 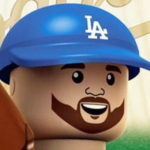 This is a true toss-up, but I think the Dodgers add him. Rhame, 23, pitched all season at Triple-A Oklahoma City and was solid: 3.29 ERA, 3.87 FIP, 26.5 K%, .225 BAA. He did get in a little trouble with the walks (10.6 percent), but he might be that kind of pitcher going forward. He has a big fastball and a breaking ball that isn’t terribly consistent. Still, I think the Dodgers add him because he has the kind of arm teams take a chance on in the Rule 5, and he could absolutely break camp with another team as a reliever. I’m not sure he’d make it with the Dodgers out of camp, but if he’s on the 40-man, expect him to pitch sometime for LA in 2017. The Dodgers have 37 players on the 40-man roster at the moment. If they add these three, they’ll be at 40 before the real fun even begins. That said, there are some non-tender/DFA candidates (Louis Coleman, Charlie Culberson, Chris Hatcher, Darin Ruf, Rob Segedin, Chris Taylor, Scott Van Slyke) and other players who won’t be Dodgers in 2017. As such, they can afford to protect De Jong, Farmer and Rhame if they so choose. If I had to choose one of the trio they wouldn’t protect, I’d go with Farmer. Don’t expect the Dodgers to draft any players in the MLB phase of the Rule 5 Draft. The last time they had a Rule 5 guy, it was Seth Rosin in 2013. He was acquired from the Mets (which picked him from the Phillies) before the Rangers claimed him off waivers after Philly didn’t buy him back. The last time the Dodgers actually selected a player in the Rule 5 was 2009 in the form of Carlos Monasterios. Now, MLBPA/owners, get that CBA hammered out so the offseason can really begin.